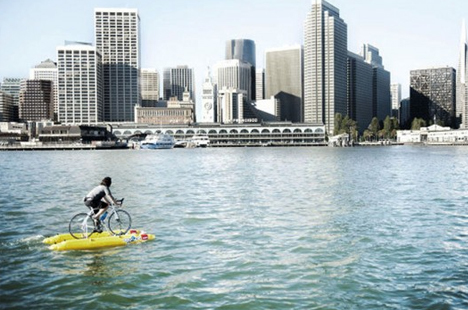 Co-founder of the Aiko Agency (focused aptly on innovation and design), this tinkerer built his own bike from a kit, then hacked it to work on the water. 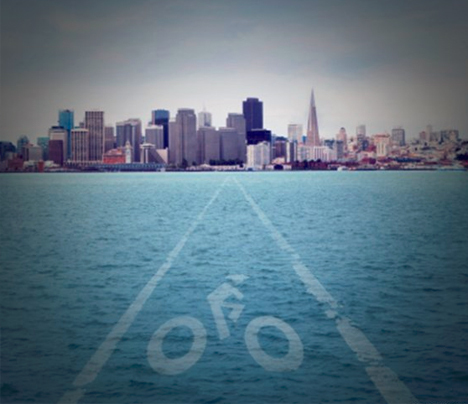 He has since founded BayCycle in an effort to make such mods widely available, particularly given the shortcomings of regional bike lanes. 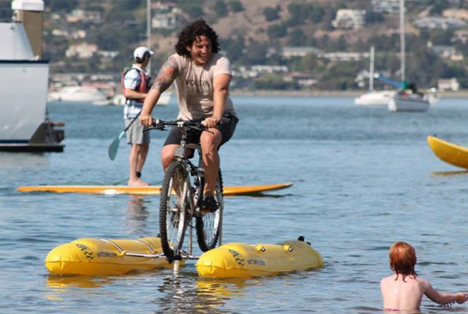 …The most noticeable improvement is Vertty’s innovative fabric, called Ketten, that forms the core of the towel and prevents it from getting too wet. 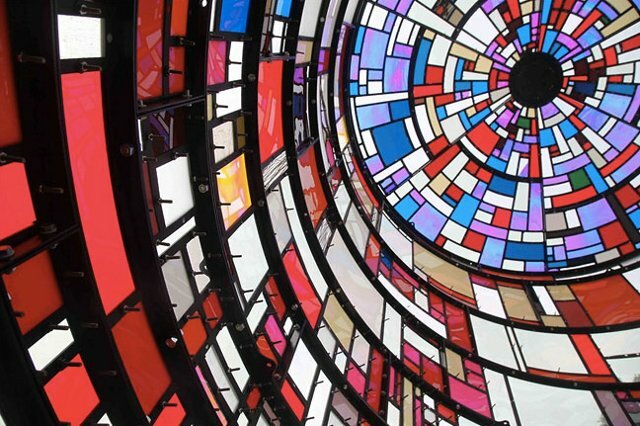 The textile is responsible for lightening the weight of the cloth by 30%; with less cotton in the blend, the towel can also dry in no time. 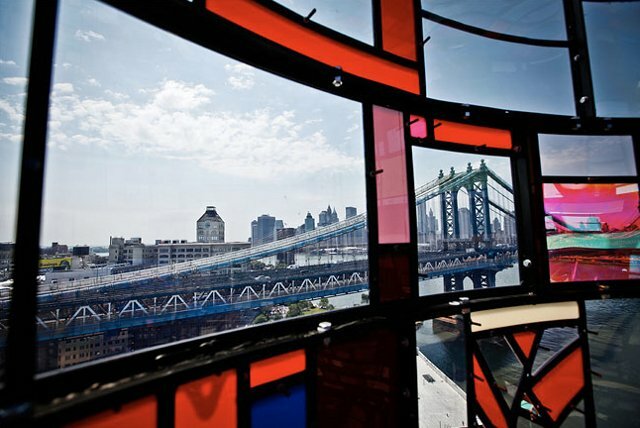 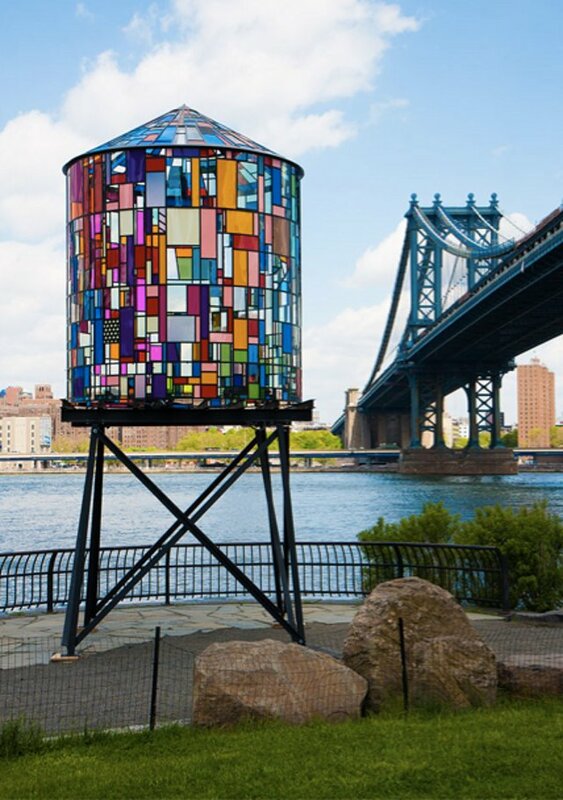 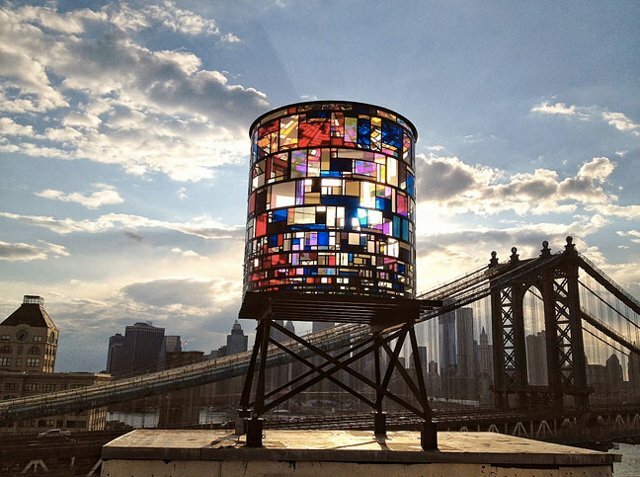 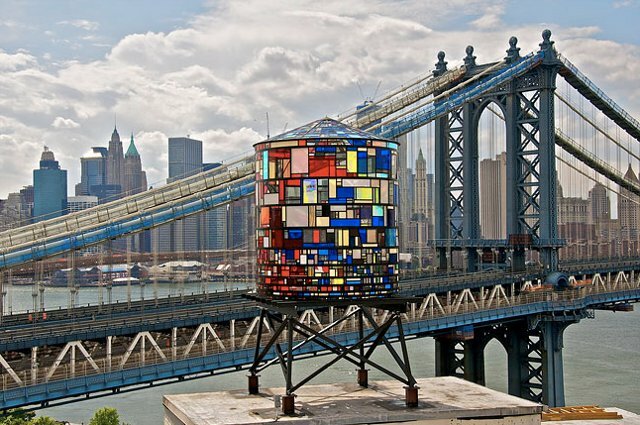 The artist Tom Fruin has built this water tower made of colored plexiglas in Brooklyn. 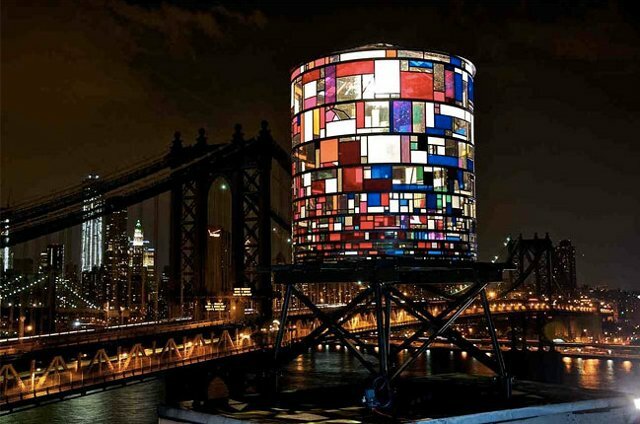 The strange structure is a tribute to New York and the “water towers” that adorn the roof of its buildings. 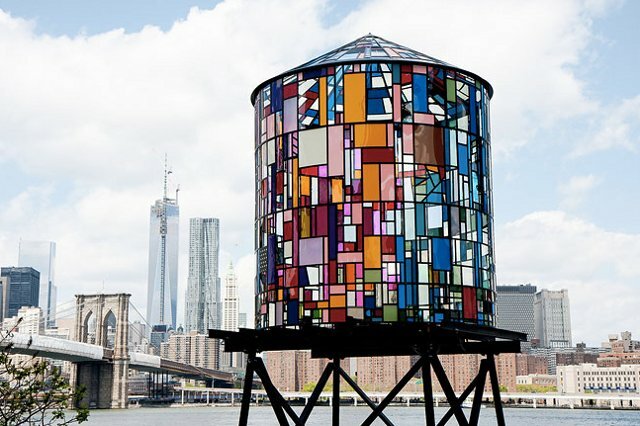 An original way to redesign an iconic part of the city using a technique reminding us the stained glasses. 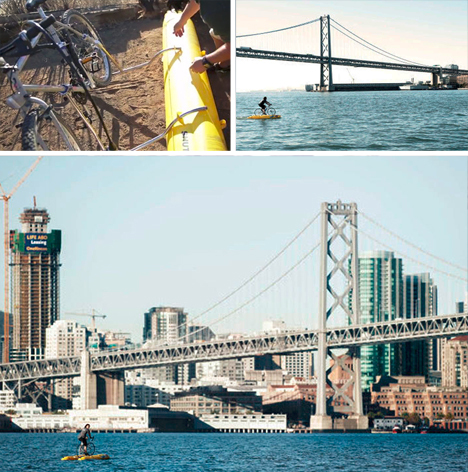 For more creative design projects and artwork, be sure to check out Yakushev’s portfolio on Behance. 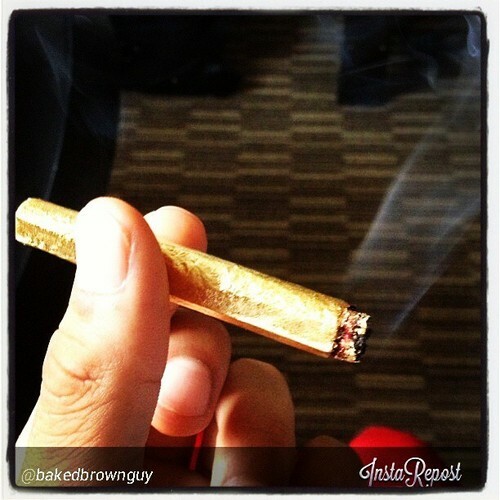 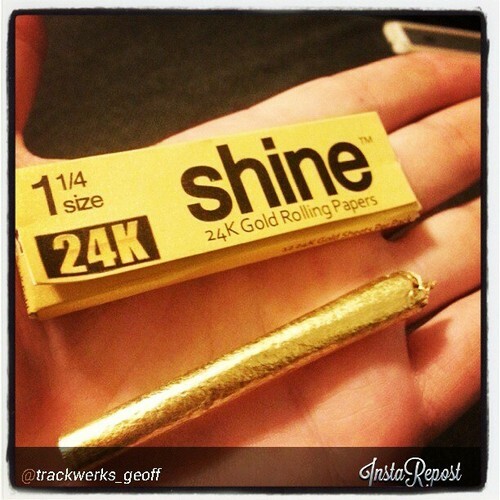 For those who have money to burn, there are now Shine 24K gold edible rolling papers to roll up your “legal smoking herbs.” The company who created them states that they “decided to start experimenting” and after many tests they finally “had the perfect mix of gold on the outside and a perfectly consistent burning paper on the inside.” You can purchase them online.